The robust mower deck is made of die-cast aluminium. It’s lightweight, won’t rust and comes with a 15-year* warranty for even greater peace of mind. *on our aluminium decks, in private residential, personal use under the terms and conditions provided by Powercut. Most Select Series models use proven, reliable four-stroke ReadyStart® petrol engines. ReadyStart® is a mechanism that automatically senses engine temperature and adjusts the air/fuel mixture to suit conditions perfectly. Even on chilly mornings, they start straight away – thanks to an automatic choke systems that works just like the one in your car. No hassles. No guesswork. No worries. 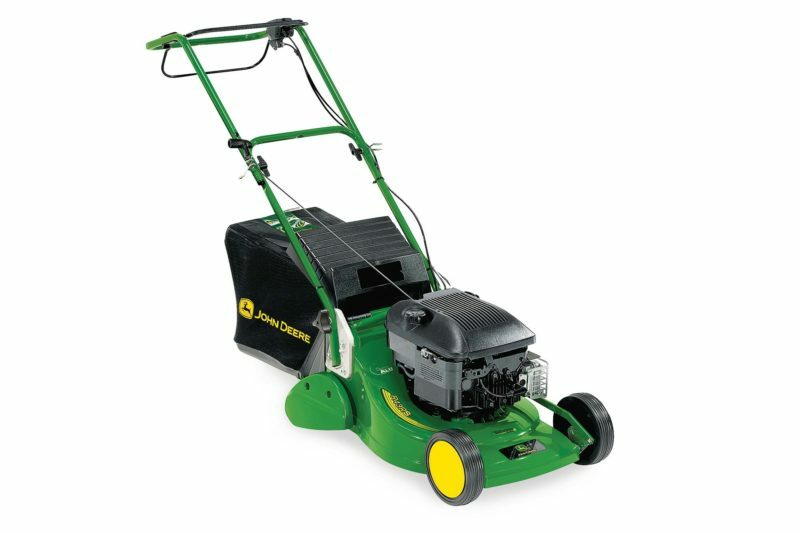 A rear roller allows for easier mowing along raised garden borders and also creates that classic stripped on your lawn. The one-piece blade is made of high quality spring steel and manufactured in line with strict production and safety guidelines. No spills: a practical indicator tells you when it’s time to empty the grass collector. The bagger is full when the ribbon is taught. To make the most of your bag’s capacity, the TurboStar System fills it from back to front using the powerful air vacuum created by the integrated fan. Whatever the weather, the proven TurboStar System ensures a precision cut and great collection every time. Even in damp conditions, the integrated fan works like a vacuum cleaner to draw grass blades up straight before cutting; it also removes leaves from your lawn. After cutting, the same air vacuum blows the clippings into the collection bag smoothly and efficiently. The TurboStar Signal alerts you in good time when the bag is almost full.